This is one of the reasons why, someone who has a good influence in social media & ability to drive traffic to his site has the potential to earn more. While blogging is shifting from a nascent phase to a much more developed phase , the revenue streams has also multiplied. There are so many interesting ways you can earn from as little as 100 to as high as 1-2 Lakhs. Having done this for the past 11 years, I am listing some of my most favourite ways through which you can earn money . However this demands a significant amount of work, investment and effort from your side. Buy your custom domain (If hosted in Wordpress, buy hosting too) . Without a domain (a .com or .in etc), you'll never be taken seriously. 1.Sign up for Blog Influencer companies. These are in reality, companies that hold a massive blog directory , and reach out to brands for campaigns. The advertisers then collaborate through the company for a specific campaign. One of the biggest example would be the most popular Indiblogger. A company or rather a community of bloggers, taking blogging to a whole different level than what it is now. Other examples from above point would include BlogMint , BlogAdda, Influencer.in etc. 2. 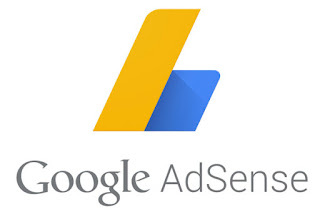 Google Adsense : One of the primary ways to earn money through blogging is to place ads in your website. These originate from a Google Adsense account. However , Adsense may not approve your application , unless your blog is minimum 4-5 months old or with a certain no of posts and content. 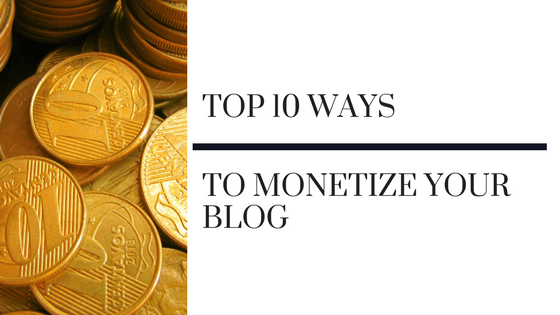 If you are lucky, you might be approved within 2 months of creation of your blog. Sometimes it takes more. Just sign up at www.google.com/adsense, add your website. Once approval is received, take the ad widgets and place it in your website (Dont try to add more than 3 ads in a single page). Another alternative is Media.net (which is now acquired by Yahoo). 3. Affiliate Income : The prinary source of income for most bloggers would be through affiliate sales. When you refer a visitor to another site selling a product or service, they give you a commision of the sale. This is called affiliate income. There are several websites which allows you to sign up to become an affiliate. This includes Amazon, Flipkart, Agoda, Hostgator, GoDaddy and so forth. 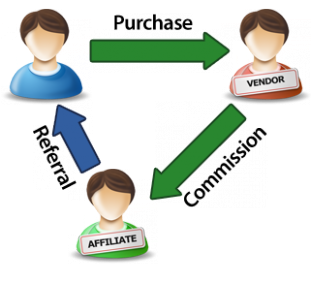 How does Affiliate System work? Sign up as an affiliate for a website. Example, you can become a booking.com website affiliate and for every hotel booking referred by you, you'll get a small % as commission. You can place the booking.com "Banner" or "Ad widget" in the top of your site or even in the sidebars. Else you can smartly insert a referral link in between one of your travel posts. According to me, the best Affiliate system you can sign up include : Cuelinks. This is because Cuelinks automatically encompasses 100+ e-commerce websites incl Amazon, Flipkart, GoDaddy, Jabong, JetAirways, Makemytrip etc. After 3-4 months, as you work on your backlinks, posting, SEO etc, you'll find your Domain Authority and Page Authority improve. Once you have some good traffic and respectable ranks to share, you can start collaborating for sponsored posts. This happens both ways. Several forums in Facebook request for bloggers to share their social media links, so that brands can contact them to write a product review. This can either be through a barter system or a paid review. Depending upon the requirement you can earn anywhere between 500-5000 for a post. 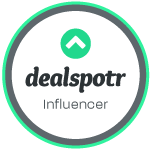 To get sponsored posts, widen your reach, build contacts and network. Keep your lookout in Facebook media groups, follow other twitter influencers to see if there are potential opportunities. It took me a year to find a few of these. But once you get the hang of it, the opportunities will start flowing. Approach brands PR directly : If you have the contact details of PR, approach them with your blog media kid, your past achievements, Social media follower count, other blog engagements you might have done etc, along with your contact details. Again be sure not to spam them too often. Instagram/Twitter Influencers : Sometimes all you need is a huge follower count like 8-10K and people would automatically start approaching you for influencer campaigns. This works very well especially with Fashion niche collaborations. 5. Freelance Projects : Over the past year, I have done a couple of freelance projects. These freelance projects might last anywhere between a day to even a week and has a fixed pay.This involves a fixed set of deliverables and even a couple of blog posts, tweets and instagram posts from your end, depending on brand requirement. 7. Book Reviews : If you like reading books , this is a golden opportunity. There are several publishing agencies and people who are looking for people to review their novels in your blog and also pay you for doing so. How cool is that? You can always reach out to me if you would like to get signed up for the same. 8.Brand Collaborations : At the start, let me tell you this is not easy. It takes months, if not years to build a popular social media profile that grabs the attention of brands and their PR's . Once you reach that stage, start writing about such brands and tag them in your posts. It just needs one collab to get the steam rolling and you'll find opportunities coming your way all the time. In the fashion network, you might sign up to networks like PopXO which gives a signficant no of possible collaborations. 9.Food Reviews : Zomato has a powerful feature caleld Food blog reviews. Next time you publish a restaurant review in Zomato , write it instead in your blog. Open the restaurant link in Zomato, scroll down to the bottom, you'll find a "spoonback" link. Copy the spoonback link and paste it back to your blog. Check my Maplai Food Review here.